← Thanks to all for a great day! 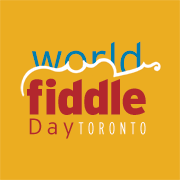 If we missed you at World Fiddle Day Toronto’s AGM, here’s a recap of the evening’s discussions. Big thanks to Long & McQuade for hosting us, and to the members who enthusiastically participated and offered to volunteer. All aspects of our organization are entirely volunteer run – we’ll never say no to more hands and fiddles! Survey Results: a brief snapshot from 20 members who responsed indicates that most participants (95%) expect to come back next year; most (80%) were satisfied with the level of repertoire; the preferred time for practice session was evenly divided between Thursday evenings and Sunday afternoons; 55% rated Fort York as an excellent venue while 40% felt it was “good” (issues of accessibility); most were very satisfied with their workshop, and finally, most of us rated Anne’s “Fiddle News” as the best way to receive information on WFD with our website posts tracking a close 2nd choice. Not a great day for Facebook fans! Increased membership fees: the consensus was to increase fees for 2016 to $40 for an individual membership; and $70 for families. A detailed financial report was distributed at the meeting, but here’s a general list of what membership fees pay for. • Paying the artists who run the workshops and perform at the WFD concert. Grant Update: Hurray… Toronto Arts Council has accepted our grant proposal for $3,500. We are waiting to hear from the Ontario Arts Council for artists funding, and also for a Compass grant (assists arts organizations with their organizational development). More good news to come we hope! Goals: we are working towards a number of goals to facilitate our growth, including: having a part-time staff for Artistic Direction, Administration, Graphic/Web Design and Marketing; paying professional artists for arrangements and to lead our community jams, concerts and workshops on the day itself. We also hope to expand the day to a full one-day festival including an evening performance and to bring notable artists from further afield.